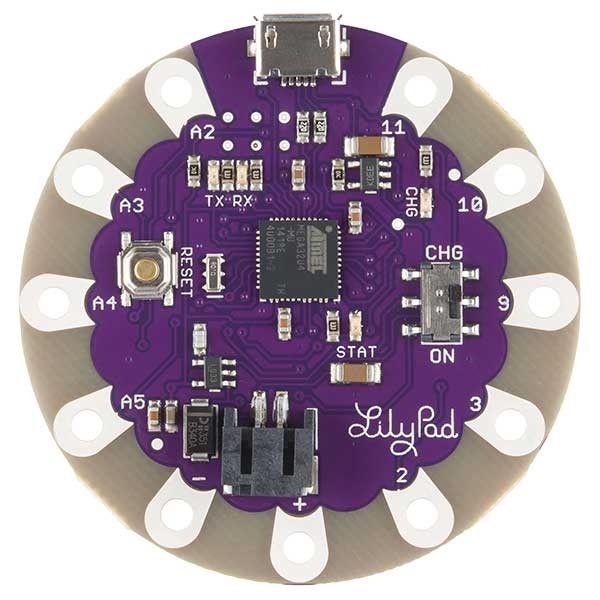 The LilyPad Simple just got a whole lot… simpler. 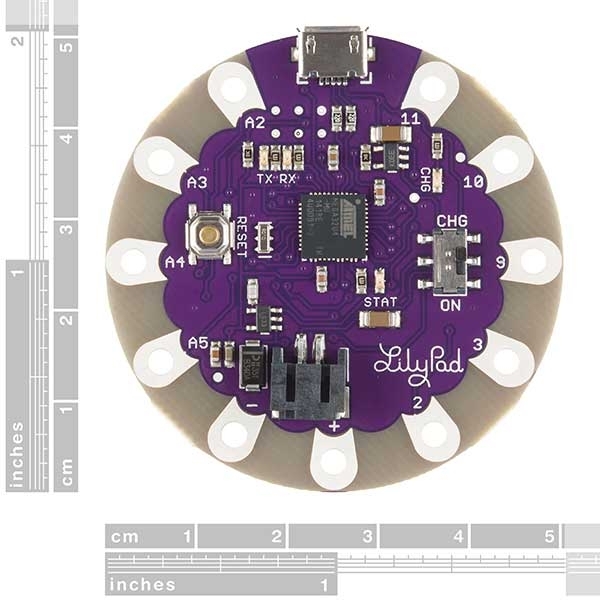 We’ve updated the Simple board to create the LilyPad USB by replacing the classic ATMega328 with the new ATMega32U4. Not only does that mean that it’s running a variation of the latest and greatest bootloader, but it also means no more FTDI Basic! The only extra piece of hardware you need to program the LilyPad USB is a micro-USB cable, since the new IC has built-in USB support. The LilyPad USB is also officially supported in the Arduino IDE as of version 1.0.2! 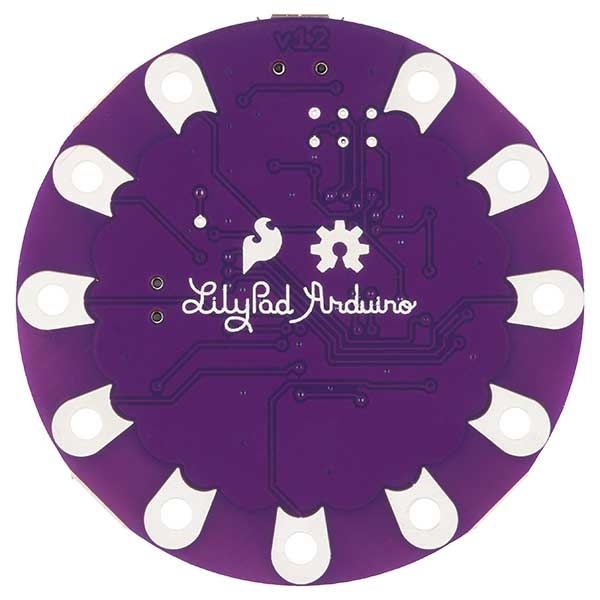 Just like the LilyPad Simple, this board features a JST socket so you can directly connect a Li-Po battery for power and an on-board power switch so you can turn it off when you’re not feeling particularly blinky. These boards were designed to streamline your next sewable project by keeping things simple and giving you more room to work while eliminating the need to sew a power supply. The LiPo battery is even rechargeable through the board, no more special external LiPo chargers required!